Virgin Media music: changing the landscape? Virgin Media's headline grabbing announcement of a DRM-free all-you-can-eat service is certainly garnering the attention but facts are still thin on the ground. So what are the key things that you need to know about Virgin Media's tie-up with Universal Music to bring entire households MP3s for a monthly fee? TechRadar has gone through all the available information to bring you 10 things we think you ought to know about a music-model that could change the face of music in the UK. Is it really DRM-free music? Virgin Media has told us that the deal is for MP3 files which, obviously, have no protection and can be copied freely as well as played on pretty much any media device that you care to mention. So I'll get to keep the music forever? Even after any deal with Virgin Media ends? Yep. "Downloaded music will be theirs to keep permanently and to store on any MP3 compatible device," says Virgin. 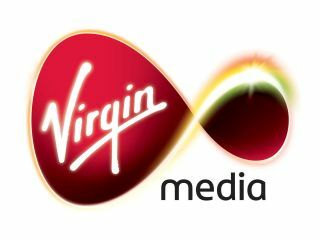 Virgin Media has yet to give out pricing details, but we have heard that the service is likely to cost 'around the same as two albums' a month – so you're looking at around £15 for what we have been assured is a service in which you can download as much as you like from the available music from Universal. I don't even LIKE two albums a month. Can I get a more limited deal? Yes. Virgin Media revealed: An "entry level" offer will also be available for customers who download music regularly, but may not want an unlimited service.